Offering you a complete choice of products which include briquette making plant, bio fuel briquettes plant, agro waste briquette making plant, green energy briquettes plant and cow dung biofuel briquette press. 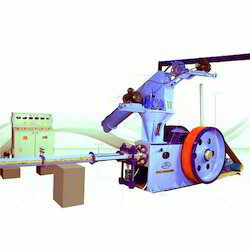 Our firm specializes in providing an excellent range of Briquette Making Plant. 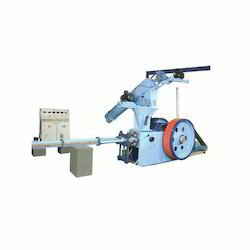 In line with industry set standard we provide these machines in various models and technical specifications as per the ever-evolving requirements of our clients. To maintain industry defined quality standards, these machines are manufactured using quality tested components and the latest technology. Also, these are examined properly by our quality examiners upon distinct parameters. For our esteemed clients, we are offering a superb quality assortment of Bio Fuel Briquettes Plant. The offered range has no requirement of NOC from pollution control board as it is eco friendly. Owing to its enhanced service life and comparatively low maintenance, provided briquetting plant remains in great demand across the industry. Apart from this, provided briquetting plant can be availed from us in various technical specifications at affordable price. With an aim to stand tall on the expectations of our esteemed clients, we are providing Agro Waste Briquette Making Plant. The offered plant is manufactured at our end using optimum quality components in line with industry standards. Our valuable clients can avail this plant from us in diverse technical specifications and models at rock bottom price. Our provided range is tested by our quality controller to ensure flawless dispatch from our side. 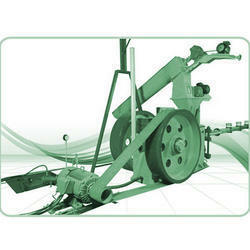 Enriched with vast industrial experience, we are engaged in offering a wide range of Cow Dung Biofuel Briquette Press. These are ergonomically engineered as per international industrial standards and by implementing best available technologies. Our devices are acclaimed for their innovative designs, fine finish and durability. 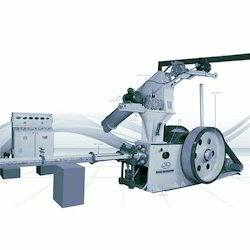 Following the exact requirements of clients, we provide these Briquette Press in various specifications.